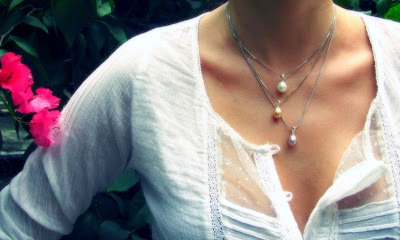 The newest trend in freshwater pearl jewelry for 2012 is all about metallic pearls. These pearls have strong color-shifting (iridescent) properties, so they look different depending on the light they are exposed to. A single pearl may exhibit a delicate peach tint in the daylight, sunset-borne hues in brightly-lit offices, and intensely golden shades in dimmed lights of a romantic dinner for two. Metallic pearls have an exceptional natural luster that makes mirrors look like dull sheets of steel! Their colors are unusual too. Intense but all natural, they range from silver cream to copper peach, gold lavender, or deep coppery amethyst-like hues. These beautiful pearls don’t go unnoticed and are difficult to find. Only one in thousands of pearls from the top of the crop will be lustrous and intensely-colored enough to be named metallic. It has been more than a year now that we have been searching and cherry-picking each individual pearl to build a collection of pendants, earrings, and necklaces for you. Love My Pearls’ exclusive line of metallic freshwater pearl jewels is currently under development, but we couldn’t wait any longer to share some of these beauties with you! 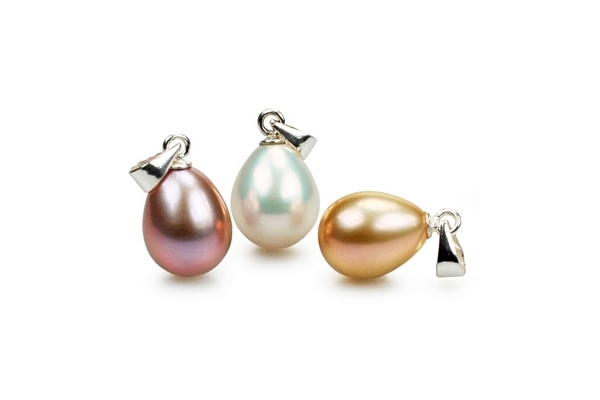 One of these bold metallic pearls can be yours! One of these three stunning pendants can be yours, free of charge. Make a purchase at Love My Pearls until November 30 and get a chance to win one of these metallic pearl pendants worth US$ 150 each, with an accompanying 18 inch (46cm) Italian-made silver chain worth US$ 25. Details of the promotion can be found here.